Active volcanoes, palm-fringed surf beaches, pristine waterfalls and tropical rainforests filled with exotic wildlife - Costa Rica is a nature-lover's fantasy. With its fabulous weather, rich biodiversity and outrageous natural beauty, this is a destination that should be near the top of any active adventurer's wish list. Here you can see biodiversity in living colour as you explore the mist-shrouded heights of the Monteverde Cloud Forest, and raft down the Pacuare, a spectacular river gorge flanked with steep jungle-clad cliffs. Encounter abundant wildlife as you explore the lush canals and rainforests of Tortuguero National Park, marvel at the imposing symmetry of Volcano Arenal and explore the white sand beaches, rocky headlands and estuaries of Manuel Antonio National Park. Explore Costa Rica's raw, majestic beauty in its many national parks and wilderness reserves, soak up culture, art and history in the vibrant capital of San Jose or simply kick back on one of the country's countless unspoiled beaches. 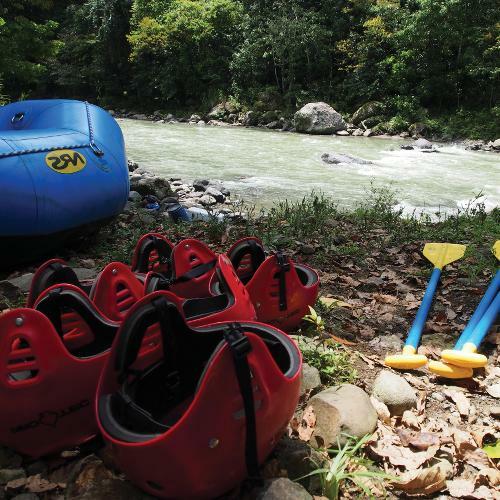 Or go all-in and challenge yourself with the thrilling Costa Rica Traverse, our award winning multi-activity adventure that will see you hike, bike, kayak and raft your way across the country. 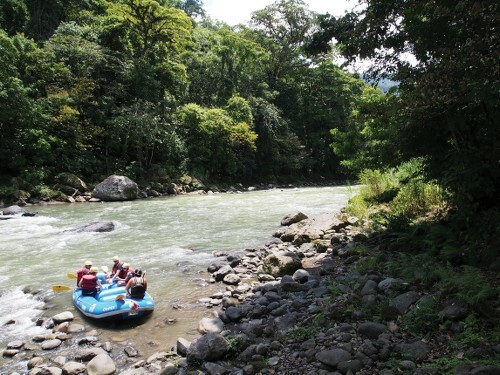 Whichever of our Costa Rica adventures you choose; you won't regret a trip to this rugged paradise. Be amazed at the opportunities for wildlife viewing and explore its network of waterways. 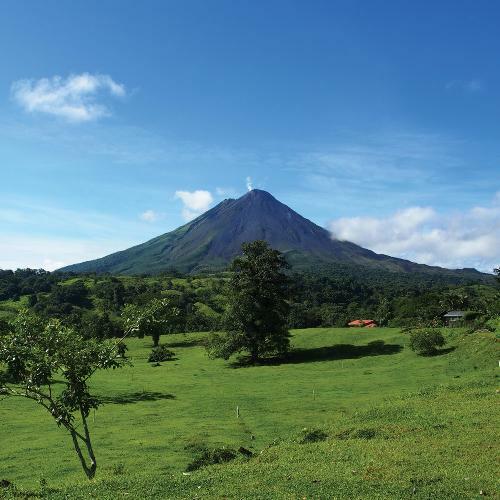 Discover Arenal Volcano, one of the most active volcanoes in the world whose steep slopes rise above vast rainforests. 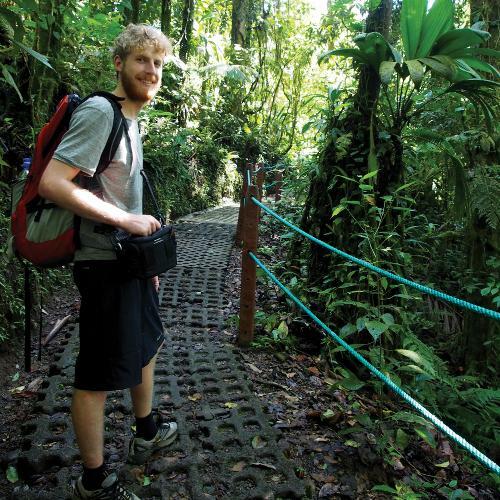 Marvel at the world renowned Monteverde Cloud Forest Biological Reserve, a unique and awe-inspiring wilderness area that enchants visitors with its mystical atmosphere. Explore beautiful white beaches and rocky headlands backed by tropical rainforest, mangroves and estuaries. 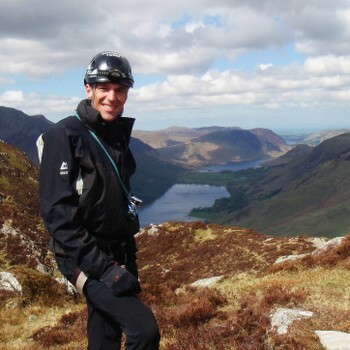 Our crossing takes us on bike, foot, raft and kayak across this spectacular natural wilderness through mountainous regions reaching the peaks of the Central Highlands. While all of our Costa Rica journeys are supported by well-maintained private vehicles that allow for flexible transportation, cycling itineraries feature bike hire and a support vehicle. Additionally, we aim to incorporate as many inclusions as possible in the tour cost such as most meals, handpicked accommodation, transfers and excursions. 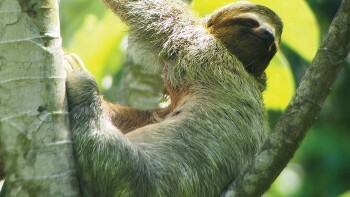 Our Costa Rican adventures feature unique itineraries that provide insight into the country's geographic and cultural diversity and the ways they fit together. From encountering indigenous settlements deep in the cloud forest to searching for rare wildlife in pristine tropical rainforests, our activities ensure your adventure is a memorable one. 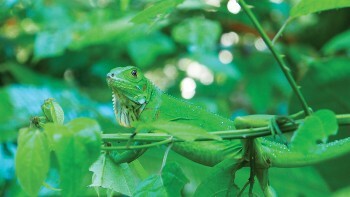 Our local guides in the field ensure your Costa Rica experience special. They are passionate about their country, eager to share their extensive knowledge of with you from the varied history and ruins to the best walking trails and restaurants. We proudly pioneered the first commercial traverse of Costa Rica, making our knowledge and experience in the region second to none. 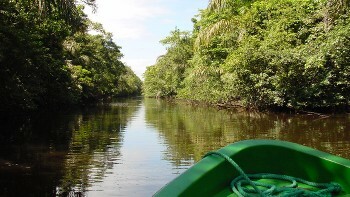 Our unique Costa Rica Traverse, which crosses the country by foot, bike, raft and kayak, received global acclaim as it was recognised as Outside Magazine's Central America Trip of the Year in 2006. Gain wonderful insight into the local culture during a homestay, a style of accommodation where a local family opens their home to you. 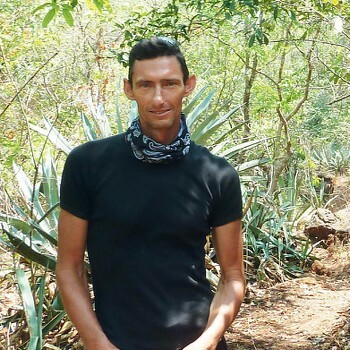 There's nothing Greg enjoys more than setting out in search of adventure in Latin America. This passion shines through in the breadth of unique adventures reflected in the fantastic line-up of trips on offer. 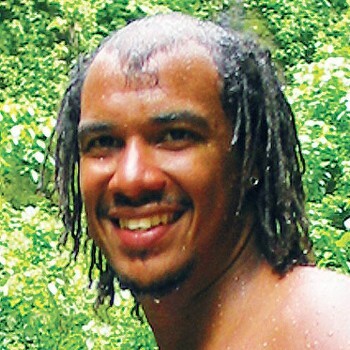 Greg is drawn to the beauty of this region's scenery, fascinating history, varied cultures and most of all, its people. 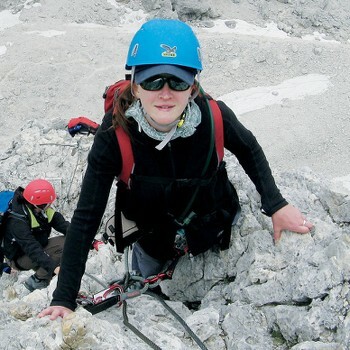 Sarah joined World Expeditions in 2006 and became operations manager in 2010. South America is her second home and she has enjoyed many adventures in its beautiful landscapes. Her travels include 'across the circle' into Antarctica, among many others. When Sarah is not planning itineraries you'll find her out on the 'rock' and in the Australian bush with her avid interest in rock climbing and bushwalking. 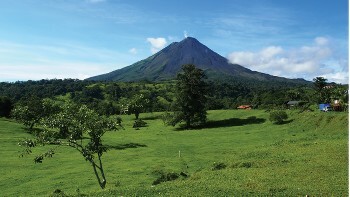 There are several distinct climatic zones in Costa Rica and as it is a tropical country there is no winter or summer. Most regions experience a rainy season from May to November and a dry season from December to April. In the rainy season, short afternoon showers are common, although not daily. 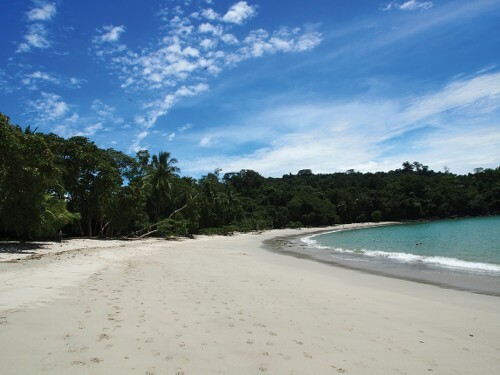 Because of the severe changes in altitude throughout Costa Rica coastal temperatures can reach 28 – 32ºC (82 – 89ºF) while mountain regions can be considerably cooler with temperatures dropping to as low as 5ºC (40ºF). Credit cards and ATM are available in most large cities and hotels, however it is not recommended to rely on these solely. 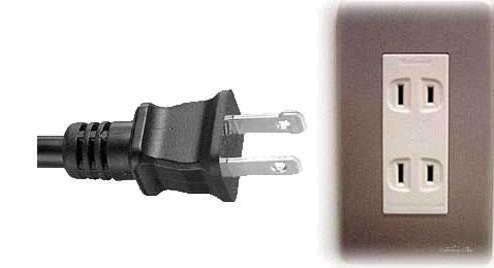 Electricity in Costa Rica is 110 Volts, at 60 hertz. The most common pin type is A. (2 flat prong). If you are travelling to Costa Rica through the United States of America (USA), or if you are transiting in Honolulu or other USA points of entry, you are required to meet USA entry/transit requirements. Make sure you check with your nearest US Embassy or Consulate your visa requirements well in advance of your travel. 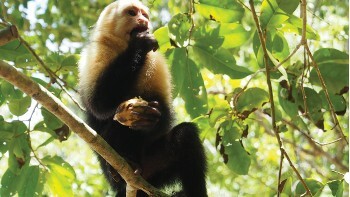 Please ask your reservations consultant about visa requirements for any country you may transit en-route to Costa Rica.